A transit of Io across the disk of Jupiter was visible in the early morning hours of April 8 from east Asia and Australia. 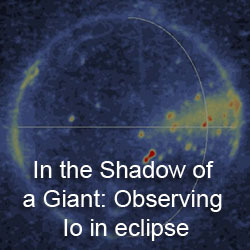 Several observers there captured the transit and posted their images online. Christopher Go managed to capture (as usual) some great images of Io and its shadow crossing the disk of Jupiter (you can see Io below and to the left of the Great Red Spot). Additional images acquired yesterday morning by Go show Io on the far side of Jupiter (to the right of Jupiter in his images, remember south is up). 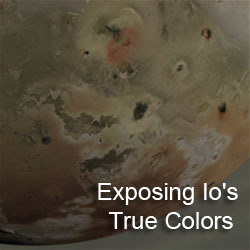 Nice to see Io is still around. Hadn't seen any new images in a week or so.